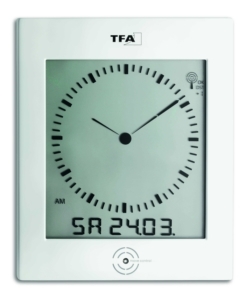 You always have the right time in view with this extra-large radio-controlled clock from TFA Dostmann. The time is set to the exact second via the DCF77 signal and the change from winter to summertime is automatic. 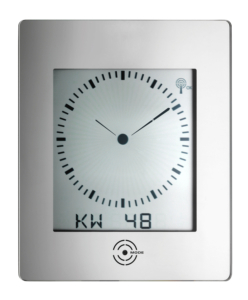 The digital display is extremely large and visible, ideal not only for home, but also for the office, waiting room, entrance or reception area. 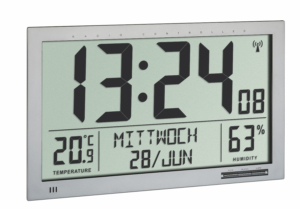 The indoor and outdoor temperatures are shown on the clear display, next to the date with day of the week. 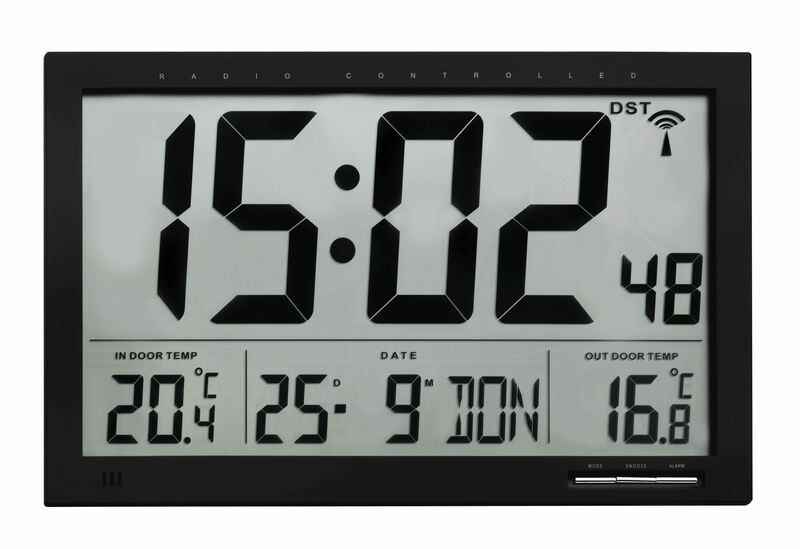 To determine the outdoor temperature, mount the supplied transmitter outside. 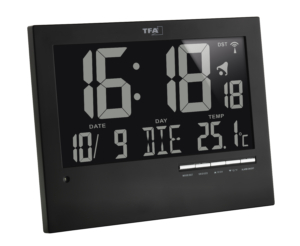 The measured values are then transmitted wirelessly – with a range of up to 100 m – to the radio-controlled clock. 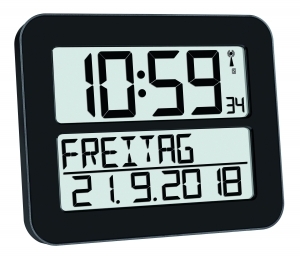 Great additional function: a temperature alarm can be set so that an alarm signal sounds, for example, in the event of frost or at extremely high temperatures. 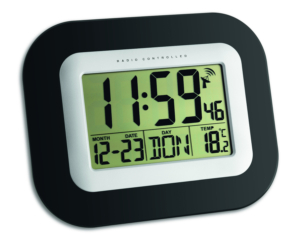 This practical device can also be used as an alarm clock. 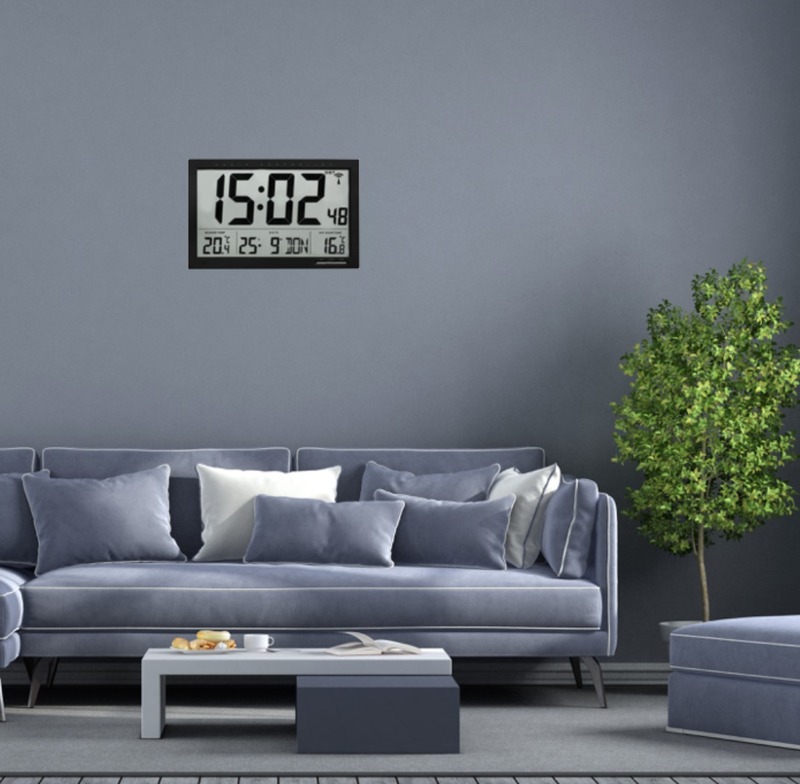 The simple and clear design of this radio-controlled clock fits in any environment, whether you prefer it hung or free standing.